As most of you know I have been on a bit of a psychological thriller kick, expanding the genres on the blog and also to give my grey matter something new to churn over. I love it when a plot makes you think, having your brain run a mile a minute while you frantically try and piece together the little clues that the author deems noteworthy. Ali Land mastered the drip feed perfectly and certainly had this woman’s brain running a marathon, but that is the beauty of the thriller, and as usual, nothing I thought was right. Good Me, Bad Me does tackle some tough subjects that may be a trigger for some, namely child abuse and murder. While the actual abuse and murders are not explicitly expanded upon they are there. We are first introduced to Annie when she is living at home with her mother who was a child serial killer. Annie is subject to mental and physical abuse too and having had to bear witness to her mother’s heinous crimes the last one tips her over the edge. Aged fifteen, scared out of her mind Annie escapes and turns her mother in to the police, she has taken the first step. Now a ward of the court, Annie’s name is changed to Milly and she is put into the fostering system. This book covers Annie’s life from the time she takes that first step to the time she is finally free from her mother, but can she ever be free? Plagued by nightmares, her mother is never far from her mind and as trial dates loom the nightmares get worse. Milly fights hard to prove that she is not her mother’s daughter, as the Good Me fights with the Bad Me who will win? Ali Land delivers one intriguing, compelling read exacerbated by the fact that this was easily relatable, nothing farfetched and something we unfortunately see far too frequently in the press. You are given a first-hand insight into the struggles of a child that is battling her inner turmoil as to whether she is her mother’s daughter. Does DNA truly maketh the person or will that nature vs nurture effect take over? As the trial looms, ever closer, who is on trial, the informant or the perpetrator? Millie not only has to contend with her inner thoughts but battles the troubles extended to her that come hand in hand with a new family and new school. Millie has so much on her plate and the struggle is real. With short, sharp, fragmented sentences at times, the author really accentuated the depth of struggle and fear that Millie is going through, especially with her inner monologue fighting against herself and her mother. You never truly understand the effect that something like this has on the witnesses and the families and Ali Land goes somewhat into showing just how widespread the repercussions truly spread. 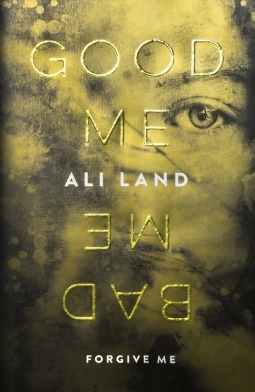 This book side swiped me in the best way and for a debut novel Ali Land really hit the psychological thriller on the head. A great delivery.